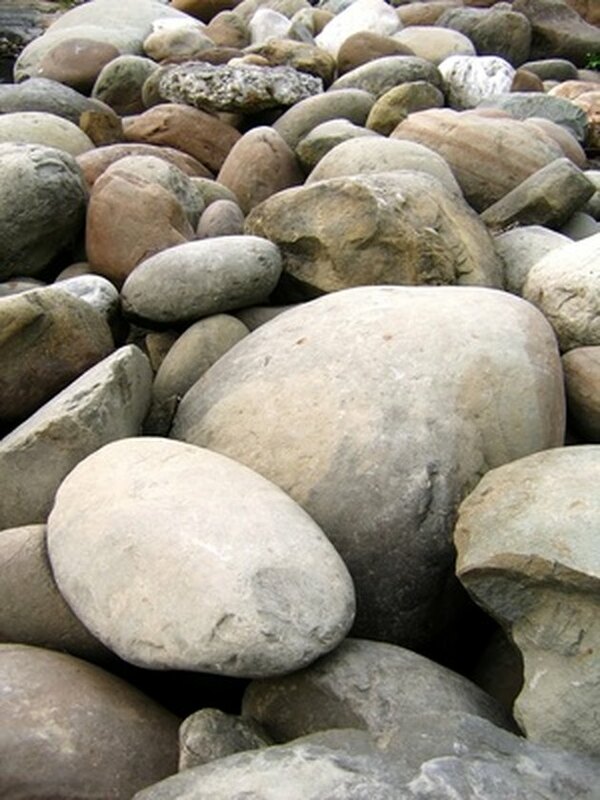 Rocks and boulders can add interest to any landscape, garden or yard. Large boulders are expensive, heavy and difficult to move. Hypertufa boulders, composed of peat moss, perlite and portland cement, are much lighter and less expensive. They are easy to make with a few simple ingredients found at your local building supply store. Before you begin, take a good look at real boulders and rocks, carefully examining their shapes and crevices. You'll want to replicate those natural markings. Create realistic boulders and rocks with a hypertufa mixture. In a sheltered spot away from breezes, mix together portland cement, perlite and peat moss with the hand trowel in the wheelbarrow. Add water, mixing with the hand trowel, until the mixture is damp but not crumbly. Push the chicken wire into a rock or boulder shape. Stuff plastic grocery bags in the chicken wire holes. Use the hand trowel to begin applying hypertufa mixture to the chicken wire. Completely cover the chicken wire and use the trowel to make a realistic design. Use the sea sponge to add texture. Cover the completed rock or boulder with black plastic sheeting and let the hypertufa cure in a sunny spot for two to four days. Check under the plastic several times a day and mist the entire hypertufa rock or boulder with water each time. When it is completely cured and firm, apply the concrete sealer with a paintbrush.